Why Learn Python as Your First Programming Language? So, you decided you want to learn programming, congratulations! You are about to begin a journey that , I hope, is as stimulating and rewarding for you as it was for myself! But the first question is–Which programming language should you first learn?? We thought long and hard about that, here at Penjee, but after some debate about the pros and cons of various programming languages we quickly decided that Python is the best programming language to learn first. In fact, it’s’ increasingly becoming a popular language for many Programming 101 classes. Python has a lot going for it and maybe the biggest reason is its readability. 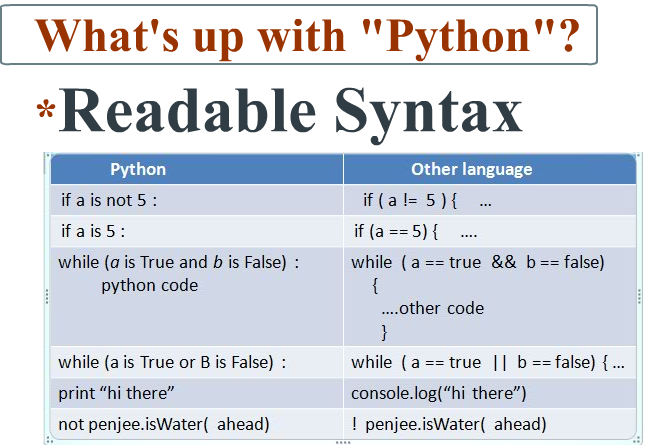 Unlike many other languages, Python looks much more like English. When you are first learning to program (or when you’re teaching kids programming ), you are trying to internalize an entirely new way of thinking. Python has the advantage of not adding to that burden. Other languages require you to memorize abstruse symbols like “!” to mean not, “&&” means and , “||” means or. 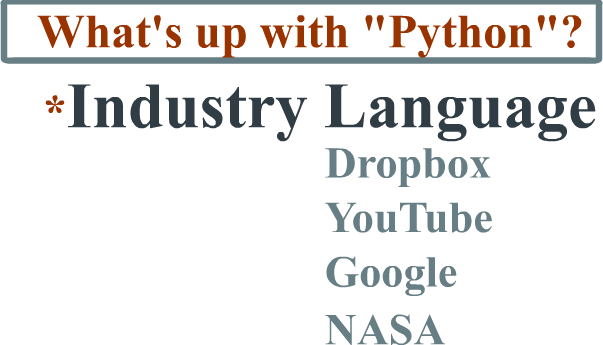 Even though Python looks like English, make no mistake : Python is a highly respected language used in industry. Below is a list of well known companies that use Python. So, what are you waiting for, start learning python now! 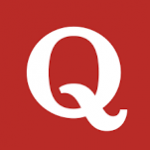 Why did Quora choose Python ? Which Internet companies use Python? Why did Uber choose Python ?